Dimensions: W47" x D25" x H42"
100218 contemporary home bar will bring style and entertainment to any room of your home. Constructed of quality wood veneer in rich cappuccino finish. Inside you will find two large cabinets, stemware and bottles holders plus shelves and even small drawers. Compact in design it will perfectly fit in smaller spaces without taking up too much room. 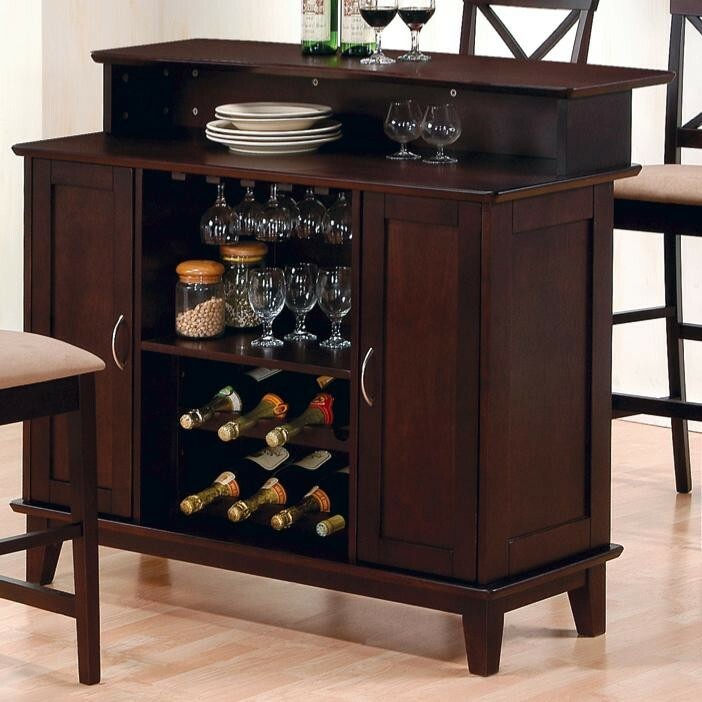 You can also mix and match this bar unit with some stools to complete and create your own package.